Green Coat that has no pockets, what a horrible thing to forget. Seersucker in the freezing cold? Winter florals and the start of a style challenge. Neon snake print and ruffles -the outfit everyone voted for! Out playing in the snow! Freezing on my little sis's Birthday. In my sailor suit to go and see the play "On the Town"
A trip to Italy begins -- Rome on my Birthday! And when I find out I'm not going to be able to leave because of the volcano, I buy a new dress (and bag and sandals and earrings)! Wearing a pair of shorts I made and never ever wore - I finally got over my shorts aversion. A rushed morning produces a cute outfit. My J.Crew steal making it's debut on Mother's Day. My new bag and scarf from Italy refresh an old dress. I pulled out my boots for some summer boot action. Embraced horizontal stripes more than ever before. Put together a look inspired by Lucky Magazine (one of many). For lack of a white top, I wore pjs out. Lots of white layers always feel like summer. Got the white top, and a fun pair of shorts that look like a skirt! Some bright poppies make for a wonderful summer dress. I got my amazing fabulous Jeffery Campbell Splendid sandals after stalking Nordstroms website for a week. I made a new skirt. September came and things started to get a little bit cooler, I pulled my red bag out of it's slumber. And made a red skirt (which I can't seem to get enough of). Put together a perfect military inspired look. And wore the leopard pencil skirt. I tried out my first monochrome look, piling on layers of navy. Enjoying an unusually warm fall day, and playing in the leaves. Finally realizing I should just add a belt to a huge shawl to make it a perfect piece of outerwear. A surprise pop of turquoise makes a statement outfit. Keeping warm and cozy in the dropping temps. My thrifted fur collar starting to make an appearance on every coat I own. Turning office wear in to polished party apparel. 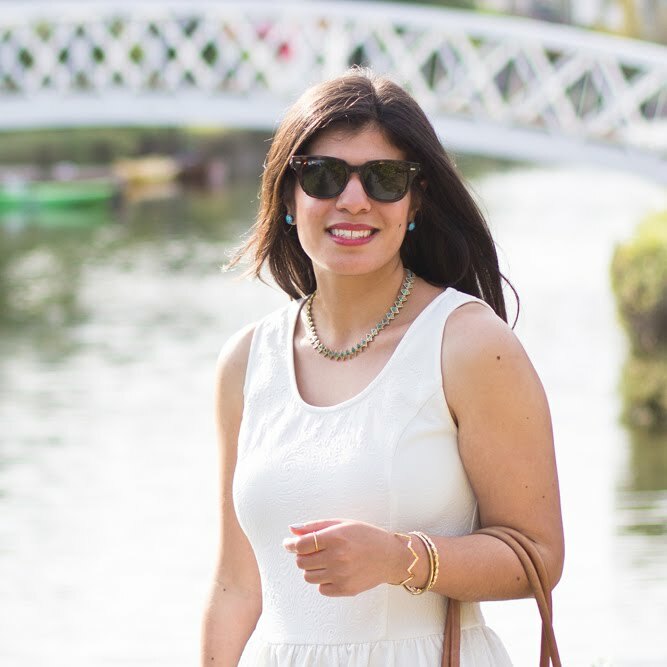 Transforming a summer dress into winter wear. Leopard and red - is there a better combo? Well, maybe leopard and pink? Well, that is it!! My roundup post for the year. This took me four hours to put together, which is insane, so please enjoy it, and spend a very long time looking at these photos. I've decided if I do a collage post next December 31st, I'm going to have to make the collage at the end of each month rather than waiting and doing them all in one evening. I've been loving everyone else's end of year round ups - it has been a very stylish year ladies - and I'm sure we will only be more fabulous in 2011. Hope you all have a wonderful time bringing in the new year! So glad the leopard pencil skirt made it into the recap twice! It is one of my favorite pieces in your closet, I daresay I covet it! 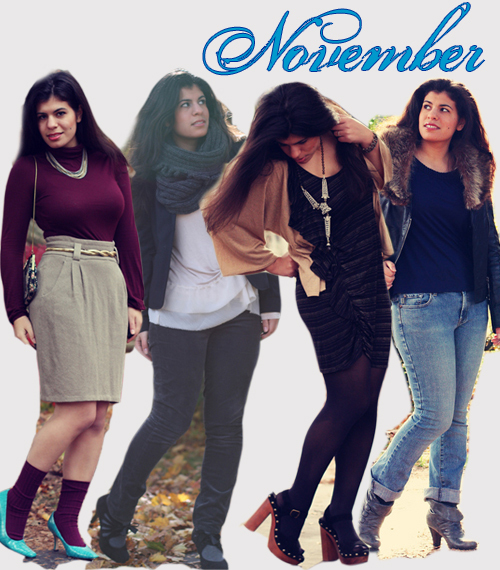 Great recap - you've had a very fashionable year indeed (and I'm drooling over many of the things in your closet)! Wow!you are so consistently stylish! I can't even pick a top 5 because I love all the looks. Ok, I'll mention a few: the Valentine's Day look, the military inspired blue trench with gold broach and the belted cape are all tops for sure! this is an amazing post and it's so cool to see all your highlights in one spot! Good job! You've really inspired me to care more about my style. Give me a couple months, and you'll see a complete transformation (I hope!). Thank you, and have a wonderful New Year. Great color and new additions (I want Jeffrey Campbell next year!) Happy New Year dear! Your September happens to by my favorite one. I love every single article of clothing in it! 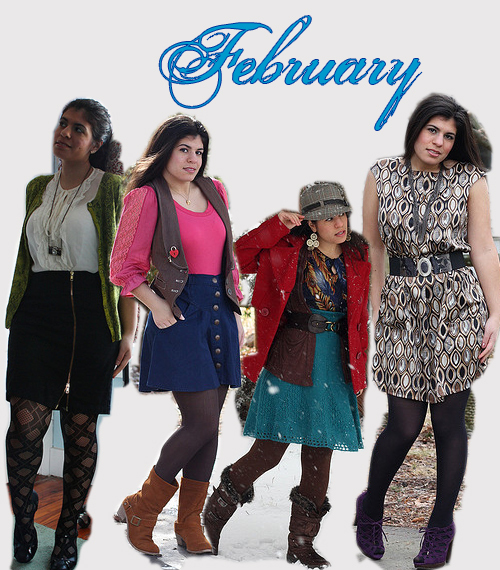 soooooo many inspirational and fun outfits! have a great NYE! I love your collages - fabulous! 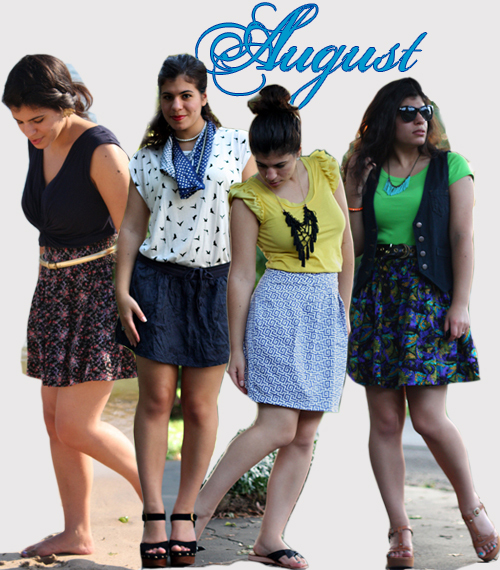 seeing all of your looks together really shows your styling talents! I so look forward to 2011 and what you will bring!! What a great recap! Looks like it has been a stylish year indeed. You do a great job of wearing colour. It really pops in the collage. Happy new year! 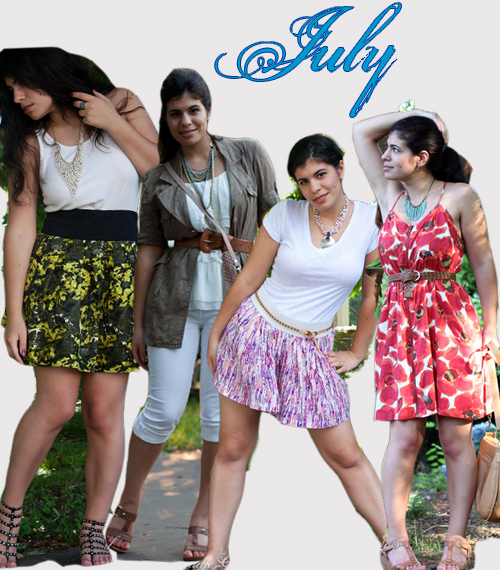 The time spend was totally worth it I love your collages... you picked some great outfits! Great recap and I love the collages! Here's to another stylish year ahead! I love all your printed pieces. Have a great New Year and a fabulous 2011!! Thanks for sharing. It's so cool how you 'cut out' the photos of yourself - how'd you do that?! I like!! PS - I looooove the blazer from December with the fur collar - I'm immediately going to attached a fur collar I have to one of my blazers! WOOT! great wrap up.. I bet it took a long time to put together!! we bloggers are kindof crazy arent we ?? 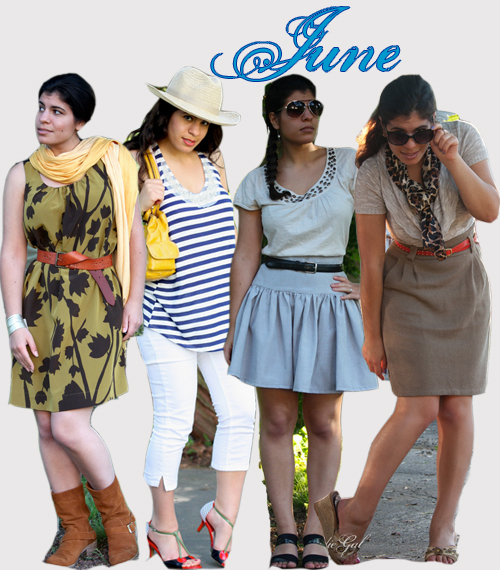 LOL... love this post and all your outfits and cant wait to see what you come up with for 2011!! AH, I love end of the year wrap ups too. Yours is NO EXCEPTION. It's so fabulous. I love seeing how much your style changes and evolves. SO FIERCE. Happy New Year! 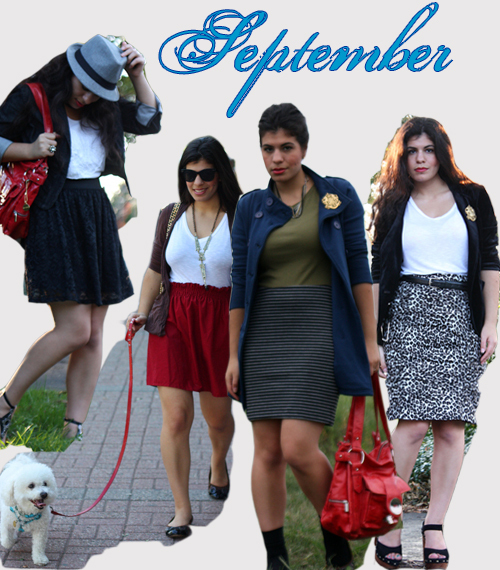 Keep being such an awesome blogger with a whole party of awesome posts and outfits! Really excited to see what 2011 brings us. 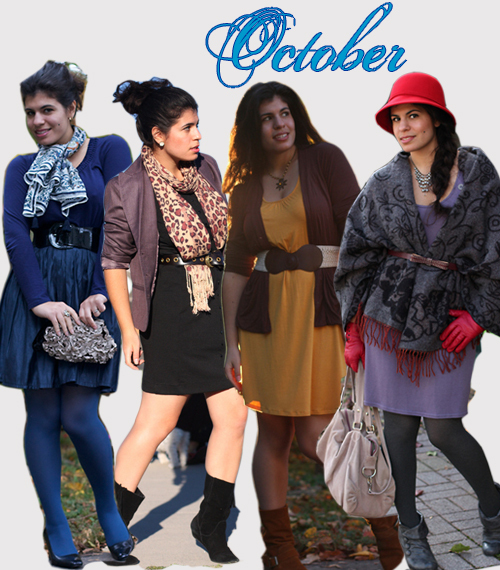 super montage, et j'aime beaucoup tous ces looks. Wow, what a wrap-up! I love your Rome looks - especially the last green dress. So glad I found your blog this year!! I kept scrolling through and going "Ooh, I like that month the best, no wait, the next one, No wait!..." what a fun 12 months collage-y fun! Happy 2011 friend, I wish all things wonderful to come you way! 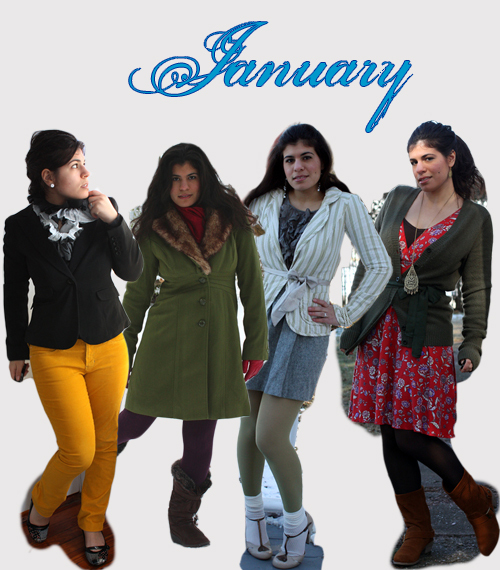 but i really am in loveeee with the green coat on the first (january) picture! looks so good on you! i wish you a magical 2011! Hey girl!! THank you so much for stopping by!!! I am loving your blog. And there are so many amazing outfits on this post it's hard to pick the best!!! You have fabulous style! 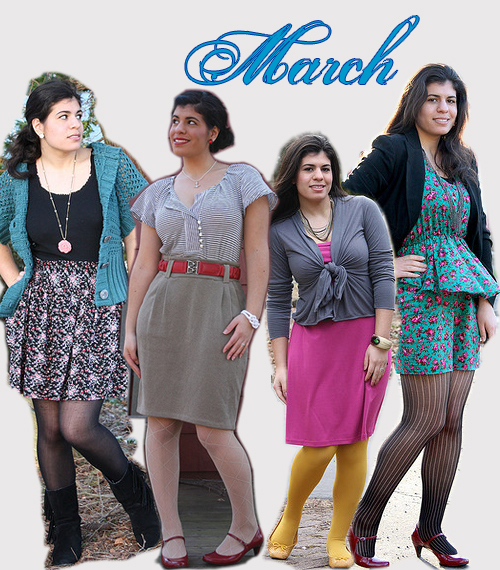 Wow--all of these are great outfits! I love them. You wear scarves so fantastically and all of your leopard print is to die for! I think June is my favorite month! I can't believe I haven't been to your blog before...it's seriously inspiring. I'm your newest follower! I had fun looking, Thanks for spending the 4 hours ! What a cool review. You have worn some fabulous looks this year, lady! Well done and Happy New Year! hope you had a great nye and New years day!! 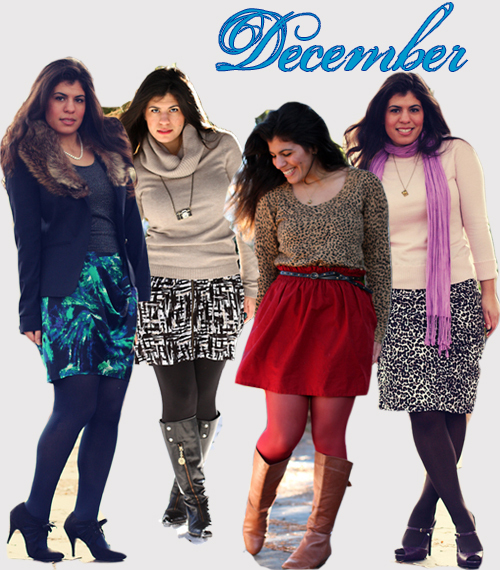 what a cute recap, you have amazing style so I cant wait to see what you have in store for 2011! Oh my, I love your style! The mustard pants are perfect!! Oh, I love all of your colorful outfits! 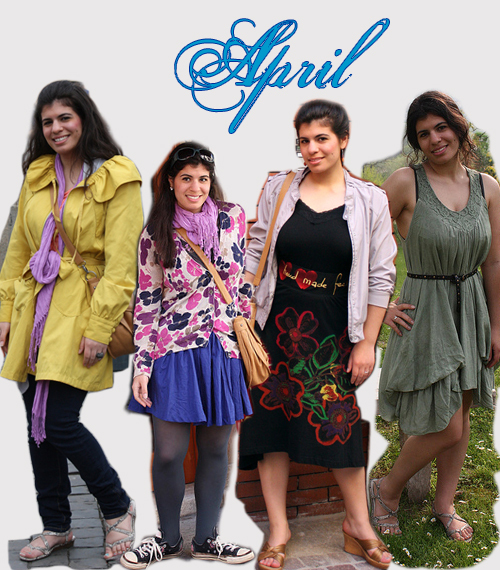 My favorite is the aqua dress with pink flowers. Lovely roundup. Happy New Year! ps--I'm following your blog! Love all the bold prints and color you wear. Such a stylish year for you! The green dress from Italy is one of my favorites. What an awesome collection of outfits!